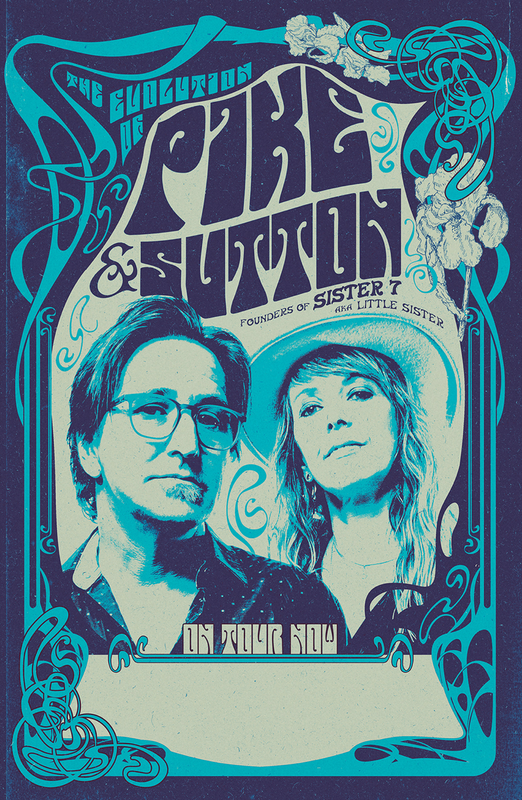 Patrice Pike and Wayne Sutton are touring this summer bringing their new collaboration of arrangements of songs from Sister 7 and all their catalog of solo projects over the years. Patrice and Wayne are the founders of the seminal jam band Little Sister, also known as Sister 7. The two have toured with Sister 7 and on their own including supporting the Allman Brothers, John Fogerty, Sarah McLachlan, Blues Traveler, The Neville Brothers, Ray Charles, Chris Isaak and Dave Matthews Band among others. They have played Austin City Limits Festival for many years, as well as Kerrville Folk, High Sierra, Strawberry Festival, and also legendary venues in the U.S. and Europe. Their songs are literary, emotionally riveting and eclectic, drawing from Roots Rock, Rhythm and Blues, World and Jazz influences. Patrice is an accomplished rhythm guitarist, vocalist and drummer and Wayne’s lead guitar and singing all together creates a big sound as a duo as well as with their full band. They have put together a collection of new songs that have been selling out shows in major markets in the southwestern region and are working on a new recording project with a wealth of top players as well as doing select shows with Sister 7. The touring will include Texas, New Mexico, Colorado, California, Oregon and Washington state.